If you are into any sort of digital entertainment, then you probably know how in fashion augmented reality and virtual reality technologies as a medium of entertainment are right now. 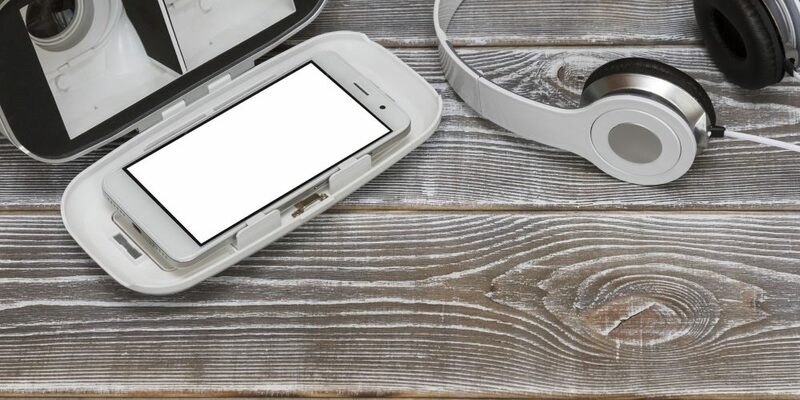 Global tech giants like Facebook, Apple, Google, Samsung, and HTC have openly welcomed the new technologies, and are already building seamless ecosystems that will have you on your couch with one of these headsets on, all day. 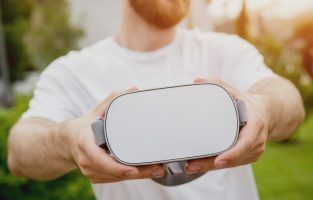 Mobile VR has also found its place in the consumer smartphone market, and many smartphone manufacturers are providing awesome VR equipment, compatibility, and content for you to enjoy. Apple, however, has not yet been one of them. Apple’s mindset on this powerful pair of technologies is a bit different from the mainstream. According to Apple, augmented reality is a very effective tool, and will take over virtual reality in terms of adaptation and popularity. The only problem with that is that the company also hasn’t done research and development for VR as much as it has done for AR. While Apple may be reluctant to invest resources into the development of VR products, you can still have your fill of virtual reality without switching your favorite smartphone, with the likes of Samsung’s and Google’s handsets. You probably won’t experience the unparalleled excitement that you could have enjoyed by using a dedicated viewing device and a VR engine, but I can promise you a strong taste of VR from your iPhone, too. In this article, we will discuss the best VR applications on the iPhone that can brighten your day. How Can an iPhone Run VR? You must be thinking that if Apple hasn’t adopted virtual reality, then how can an iPhone run VR? Well, the best part about VR is that it only needs a device’s 3D rendering capability to work its magic. Augmented reality requires integration of mobile components (like the camera) and a serious engine to work. Apple has developed ARKit for this sole purpose. VR, on the other hand, is just like a game that is being rendered in a 3D space. Practically any game can be a VR game, or any 360-degree video can be a VR experience, by simply adding a tracking system. Displacement and angular momentum-tracking capabilities are present in all of this generation’s smartphones. Program the camera controls to trigger with the activation of angular momentum and in the direction of that angular momentum, and voilà! You have a VR experience. The main point here is that iOS can run games, and it can track the acceleration and rotation of the device, which means that it can run VR applications. How to Enrich Your VR Experience on an iPhone? 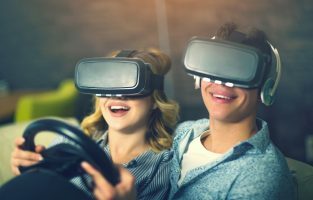 While holding your smartphone up high and moving and rotating it here and there to look around an immersive 360-degree video is fun, you can make your experiences even more immersive by using a mobile VR viewing device. A mobile VR viewing device has displays dedicated for VR. You can connect your smartphone to the device, and it will provide you with an immersive viewing environment. Before buying a viewing device, make sure that it supports iPhone’s lightning cable. Google Cardboard: The Google Cardboard is among the most popular VR viewing devices on the market. It’s not too pricey, and it’s a fun and minimalistic viewing device made of cardboard. A good thing about the Google Cardboard is that it can be easily cut to expose the rear camera of the smartphone, which makes it a great AR viewing device, too. Zeiss VR One Plus: The Zeiss VR One Plus is a much more serious VR viewing device made to last a long time. Unlike cardboard-based VR viewing devices, this one is made of a sturdy material, and it focuses on comfort and quality. 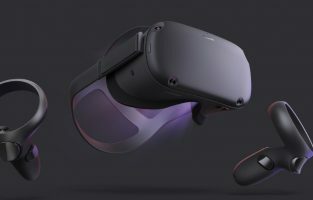 This will probably be the most expensive VR viewing device on this list, but it is worth the money, because you will often be experiencing VR content for hours at a time. By contrast, such length of use will make cardboard-based devices quite uncomfortable after an hour or so. Dodocase P2: The Dodocase P2 is another very simple VR viewing device. It’s not as popular as the Google Cardboard, but its design and pricing rival those of the Cardboard. View-Master: Remember those slide-viewers fitted inside a camera-shaped plastic body? If you do, then a.) you have had an awesome childhood; and b.) the product was made by View-Master. The company has now started developing VR headsets and applications. You should give their site a visit, and see if any of their viewing devices with lightning cable support are worth your time. Homido VR: Do you wear glasses? Then most of the VR devices on the market must be very uncomfortable for you. The Homido VR features adjustable lenses, which allow users who wear glasses to set the lenses to their preference. Most of the applications that we will discuss are free. Some of them might be so for a short period, due to promotional plans, and therefore I would encourage you to try them before the developers decide to attach a price tag. Also, since Apple has not yet launched any VR-dedicated solutions, most of the VR apps you’ll see on the list will be non-interactive. Remember, you can enjoy VR applications on your iPhone even by just holding the device in your hand, but VR is incomplete without a dedicated viewing device that immerses you in an entirely different virtual world. No, we aren’t talking about the viewing device, this time. Google Cardboard is a VR content library that has enough content for you to enjoy for several years, even if more is not added. The app was originally built for Google’s customers (Pixel smartphone and Google Cardboard owners), but Google doesn’t discriminate based on what smartphone you use. So, you can download this app and enjoy its VR content on any Android or iOS smartphone with any VR viewing device. This app has been placed at the top of the list for a reason: This should be the first app that you download to start using VR on your iPhone. The application has a number of pre-installed VR demos that you can enjoy right after installing it. First on the list is arguably the best VR application for iPhone. It wasn’t enough for Discovery that we enjoy lush scenery and beautiful wildlife on our TV screens. No, Discovery wanted its fans to teleport to those landscapes and enjoy the beauty of nature as though they were actually visiting those places. This dynamic fusion of educational and cinematic worlds will put you in the depths of the ocean and let you observe weird and beautiful sea creatures as they swim by you. In the next documentary, you might find yourself in the middle of a dense tropical jungle full of snakes and bugs. Next, get ready for a safari across Africa’s beautiful landscape. Google has worked on a multitude of endeavors, but among its most renowned achievements is the digital mapping of the whole world. With just a few applications, Google has lit the way for every Android user. Google Maps has been helping tourists all around the world who wanted to find their way back to their hotel. Google Street View allows you to visit a place before doing so in person. And now, Google has taken the Street View app to the next level: VR. Now, if you want to remember an amazing place where you have been, you can simply put on your viewing device, and find yourself there as though you never left. The next time you want to show your loved one the awesome places you visited, or the romantic plans you have for them, you can let them take a virtual tour with Street View VR to get them excited. Anyone living in a major city, like New York, Paris, or London, can tell you that it is an honor to be a resident of these great cities. If you are one of the adventurous kinds who wants to stand in the middle of Times Square and feel the rush, this app is for you. VR Cities contains a collection of wonderfully-modeled major areas of all the big cities in the world for you to explore. No credit card, no plane tickets, no expenses, just 5 minutes of download, and you can find yourself in New York taking in the sight of the magnificent skyline. How could the hub of all viral videos in the world not be on this list? YouTube has become a part of our lives; one platform for us to get entertained, learn new skills, peek into other people’s lives, cringe at adventurous people around the world doing stupid things, and of course, watch funny and cute cat videos. YouTube announced its venture into the 360-degree video industry in 2015. Since then, the website’s VR content has been increasing exponentially. YouTube’s mobile application itself is a huge collection of thrilling VR experiences for you. You don’t need to find something amazing; just browse through the VR content, and start experiencing whatever catches your eye. Night Terrors is a very interesting and genuinely terrifying VR horror game. It’s quite easy for anyone to feel fear while wearing a VR headset, but even by those standards, Night Terrors will scare you silly. The best thing about this application is that it uses your own environment to determine how to scare you. When you run this app, it will ask you to scan your house. Then it will use the scanned environment to place its horror scenarios strategically. The goal of this process will be to let your whole neighborhood hear your screams as you run from a scary little girl standing at the end of the corridor to a smoking skeleton who thinks chopping humans is fun. 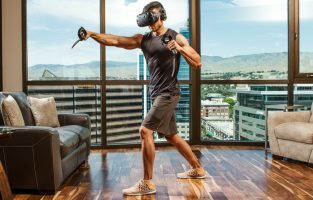 Jaunt VR is the point when your VR game becomes truly premium. We have talked about many VR content libraries above, but Jaunt is a library for curated premium VR experiences that will blow your mind. The app currently features more than a hundred awesome cinematic VR experiences that will be nothing like what you have ever before seen. As soon as you launch this application, you will realize that it was built to be a premium VR app. Among the best VR experiences that you must try are the ESPN college football video, the 360-degree Paul McCartney concert, the 5-part invisible series by Doug Liman, and the documentaries on North Korea and Syria. Storytelling is a very powerful tool that can inform how you perceive world affairs. The New York Times has used that concept to change the way it shows news to VR lovers. Also known as NYTVR, the New York Times VR application has VR content that is designed to help you truly feel current situations in the world. No matter what your interests are, I think you should try this application if you are into VR at all. NYTVR will show you that any news itself is an immersive VR experience, if you are present on the scene. Even if you aren’t a regular reader, you might find yourself becoming addicted to this application’s VR content.